On 20 June, 1847, Srs John Cahill, Xavier Williams and Francis De Sales O’Brien, three of the original five Sisters of Charity sent from Ireland to minister in the colony of New South Wales, sailed on the Louisa to Hobart. They were the first female Religious to step on to the shore on Hunters Island in the colony and were successful in obtaining permission from Lieutenant-Governor Denison to visit the Cascade Female Factory and the Male Prison in Campbell Street, Hobart. 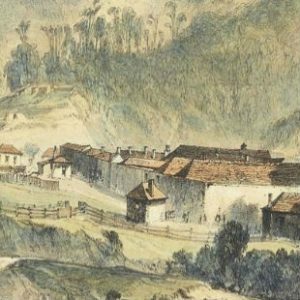 During the week, I taught in the primary section of the College and every Saturday I accompanied Sr Martha Murphy to the Male and Female Prisons which were by now at Risdon, Hobart. I can still recall my hesitation and shyness meeting the prisoners but soon realised they were very respectful and accepting of me. Sr Martha was a great model to be with, as she had a wonderful openness with the prisoners that made them feel very comfortable with her. program. For me it was rewarding to see how much confidence and self-respect the men gained from learning to read. From 2 003-2007, I returned to Mount Carmel College as the College Counsellor. In 2004, the Ombudsman at Risdon Prison and the Remand Centre, Hobart appointed me prison advocate. importantly, and to be a listener. On my retirement from my teaching ministry, I felt the call to return to prison ministry. 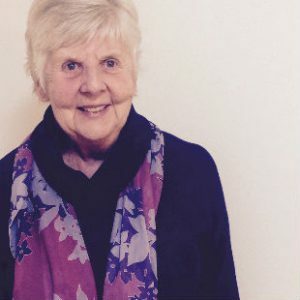 In 1979, St Augustine’s, a prison ward for both male and female prisoners had been opened by Sr Maureen Walters rsc, a nursing sister and CEO of St Vincent’s Public Hospital for many years. Now, each Thursday, I accompany Shaun Dowling from SVH Pastoral Care Ministry as a volunteer. In the short period I have been visiting the ward, I have met some wonderful people. The respect between the patients and staff generates an atmosphere of calm in the ward. A patient who I met recently has been diagnosed with cancer and will commence chemotherapy immediately. He is in low security prison on a farm where he lives with four other men in a house and values the trust and friendship within the group. He grew up on a farm and found that being on the farm, surrounded with nature, has helped him to become peaceful. He mentioned that when he received his sentence for his crime itwas also a sentence for his family. He is now looking forward to his release in 2018 so that he can show his family how much he appreciated their support during his time in prison. Finally, he said, he will really value the freedom which was taken from him when sentenced. My question for myself is how much do we appreciate our freedom or do we take it for granted? Image 1 shows the Cascades Female Factory viewed from from Proctor’s Quarry (1844), by John Skinner Prout, in Hobart, Van Dieman’s Land; Image 2 is Sr Cathy Meese. This story first appeared in Keep In Touch magazine, June 2017. You will find it here.